My hair is an extension of me, literally. If my hair doesn't look great, then I don't feel so great. 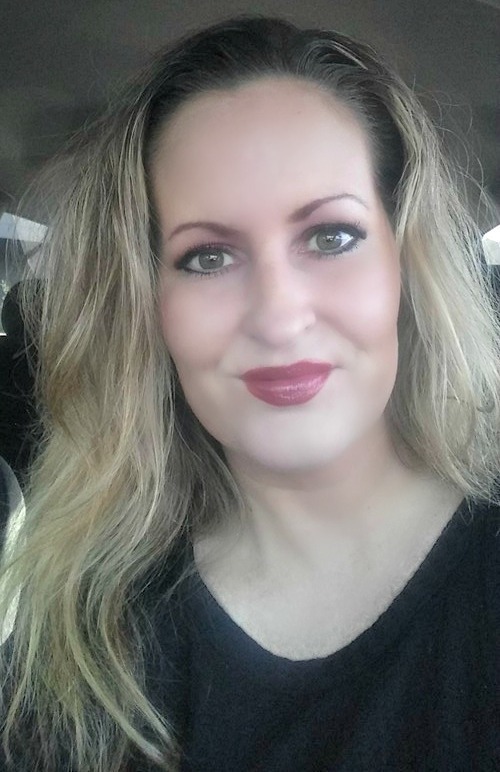 I always love finding new hair care companies that can help me to achieve my goal of having healthy, shiny and lustrous hair! 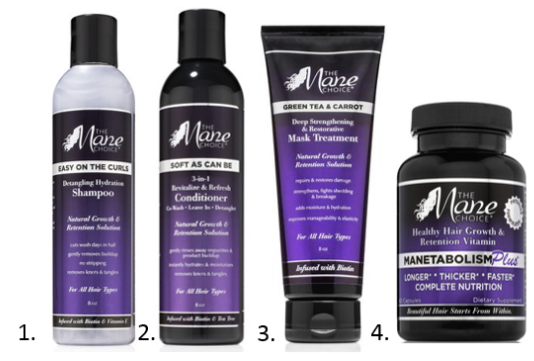 The Mane Choice Haircare, is a line of premium products to help nourish, grow and retain hair. This scientifically advanced product line was created by a Physician and Registered Nurse duo (who are also husband and wife!) to offer solutions to common hair problems. Each of the 29 products are infused with vitamins and essential nutrients including Biotin, Vitamin A, B, C, D, & E to create beautiful, healthy hair. The range includes everything from shampoos and conditioners to growth serums and multivitamins. A healthy hair essential. Formulated to penetrate the hair shaft and infuse it with high-quality vitamins and nutrients to transform hair into its healthiest state. Enriched with biotin, green tea, and carrot oil, this product will immediately begin to repair and restore dry and damaged strands. A daily complete dietary supplement formulated to grow hair longer, thicker, faster and healthier, while also acting as a multivitamin to aid in overall nutrition. Manetabolism Plus works to nourish hair follicles, prevent hair loss, remove scalp toxins and speed up hair growth with zinc, niacin, folic acid and a biotin dose of 5000 mcg. Ingredients also stimulate the circulation on the scalp and have the ability to rejuvenate dead, inactive and slow growing follicles. This 3-in-1 conditioner is formulated to revitalize and refresh the hair instantly. An advanced conditioner that can be used as a Co-Wash, Leave In, and Detangler. Adds shine, softness and manageability. Stops breakage during the detangling process. Leaves the hair softer and more elastic. The nutrient contents of this conditioner makes the hair less dry and less prone to breakage by allowing the hair to hold in more moisture for longer periods of time. When used a Co-Wash this unique formula gently rinses away impurities and product build up. Infused with Biotin and Tea Tree to promote growth and retention. I use this amazing product as a leave-in, which I apply throughout my damp hair after towel-drying. It makes my hair look and feel completely revitalized. Blossom Silkening Serum 2-in-1 Thermal Protection & Dry Hair Revitalizer is a 2-in-1 professional quality thermal defense and dry hair revitalizing serum. Specially formulated to help shield your hair from heat appliances so you can enjoy your styles with confidence. Instantly revitalizes twists, braids, locs, curls and straight hair. I love this lightweight serum! It adds the shine my hair needs, plus removes frizz and protects my hair from heat damage. It makes my imperfect hair look.......perfect! These products are available at TheManeChoice.com as well as select Target, Rite Aid and Sally Beauty Stores.